To remember the 20th anniversary of Eminem’s seminal album The Slim Shady LP, Eminem has announced a reissue of the record, with ten bonus tracks, freestyles, Capellas and instrumentals. Eminem’s The Slim Shady LP To Be Re-Issued? The original album was released on February 23, 1999, and was Em’s major label debut after Dr Dre signed him to Interscope Records and Aftermath Entertainment. 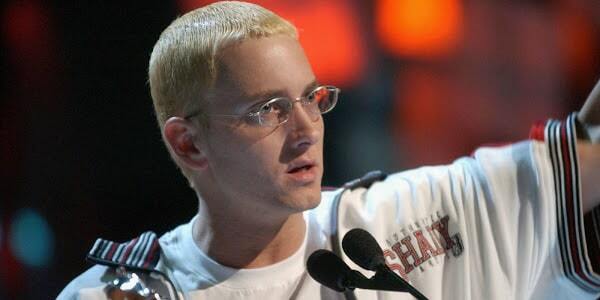 With hit singles like “Role Model”, “My Name is”, “Guilty Conscience”, it sold 18 million copies, the album is still as Eminem’s first big commercial break. Many fans took to Twitter to pay tribute to the iconic album and what it meant to them. “You’ve come so far & influenced/inspired so many people. You’re 10, almost 11 years sober, your music is still as insane as ever, & you never switched up on anybody. you’re one of the most humble rappers out here & I’m so damn proud to call myself a Stan. HBD Shady #SSLP20,” one fan tweeted. “20 years and still fresh as. Takes me waaaay back… #StoneColdBanger#SSLP20,” one more commented.